The new Industrial and Provident Society that is to run Suffolk's libraries is taking shape. As this blog has reported previously a Chairman and two initial board members were recently appointed followed by a General Manager. Charlotte Clark - staff nomination and from Southwold Library. 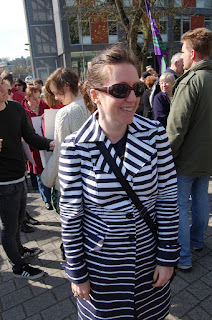 Charlotte has worked in public libraries for over 17 years. As manager at Southwold Library, she has helped expand the services delivered to the local community. Marion Harvey - staff nomination and from Ipswich County Library. Marion has worked for Suffolk Libraries for 41 years, most recently as manager at Ipswich County Library where she has developed a range of cultural events including community music days, one of which attracted over 5,000 people to the library in just one day. Ryan Jay – from Voices 4 Gainsborough Community Library. At 18, Ryan is the youngest member of the board but through running his own youth club, brings experience of securing external funding, running community events and fund raising. Sylvia Knights - from Bungay Library Working Group. Sylvia brings years of senior management and domestic and international IT business experience. She is actively involved in Bungay Library – volunteering for the Home Library Service and delivering children’s activities. Colin Owens - from the Wickham Market Partnership. Colin’s career spans the engineering and electrical supplies industries and he brings with him significant experience of project and financial management, business planning and building community links. As a Trustee of Wickham Market Partnership, he has been involved in several community based projects and currently leads the initiative to extend the services and value of Wickham Market Library. Michael Readman - from Stradbroke Parish Council and for the Eye, Debenham and Stradbroke pilot group. Michael spent 35 years in the financial services industry working in financial control, international trade and human resources roles. Now retired, he was also Vice President, HR Operations, at JP Morgan and a member of the Chartered Institute of Personnel and Development. Robert Spivey - from Sudbury Town Council. Robert has held senior financial positions in major private and public sector organisations and has extensive experience of developing and implementing business plans. More recently he has served on a number of charity committees. Graham Watson - from the Seckford Foundation. Graham is the Director of the Seckford Foundation and was previously Deputy Chief Executive of NESTA, the National Endowment for Science, Technology and the Arts, an independent body with a mission to make the UK more innovative. Prior to this, Graham was Director of Finance and Support Services for the Princes Trust. Graham has extensive knowledge of charity law, tax regulation and governance issues. After the previous appointments I expressed concern that there was not enough diversity of opinion represented on the board. I am pleased to say that I think that the IPS has gone some way to addressing this with the people they have appointed this time. 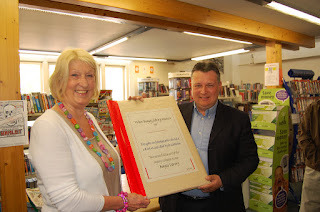 It is very good to see Sylvia Knights from Bungay and Colin Owens from Wickham Market both of whom were leading members of the library campaign. More locally we are pleased to see Mike Readman, Vice-Chair of Stradbroke Parish Council (full disclosure - he is also my Father-in-law). Mike was put forward by the Stradbroke, Debenham and Eye library groups. I am not familiar with all of the other members but from what I understand they have a great deal of experience. I think the IPS has made a wise decision to appoint more directors than they originally intended, enabling two staff and a wider range of libraries to be represented. 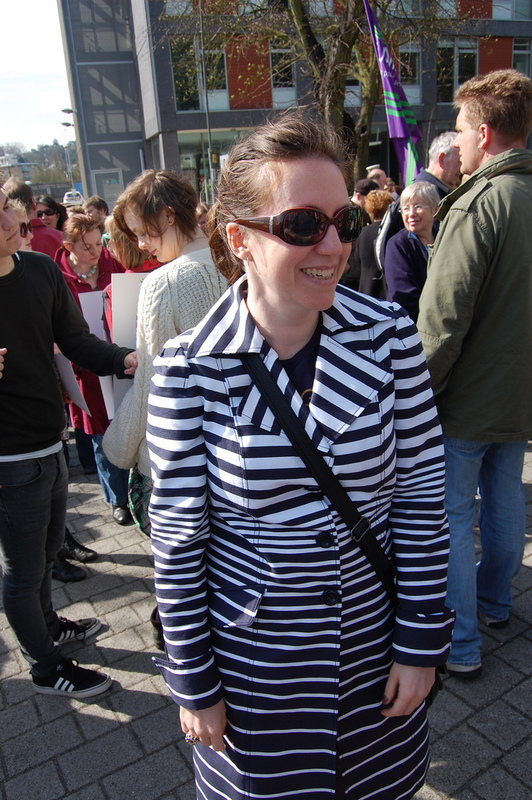 This week library campaigner Abigail Barker from Rosehill Library appeared in front of the Culture, Media and Sport Select Committee to give evidence on behalf of the suffolk library campaigns. You can read the written evidence submitted and see a transcript of the oral evidence where Abigail was appearing on behalf of the national Voices for the Library group. It was great to see Abby give evidence and providing a strong voice for Suffolk. Shame then that Therese Coffey, the Suffolk Coastal MP who is actually a member of the Culture, Media and Sport Select Committee was not there. Her Twitter said she was at St Georges Park, RSC for AkzoNobel UK Science Award and "In debate on banking reform" that day.